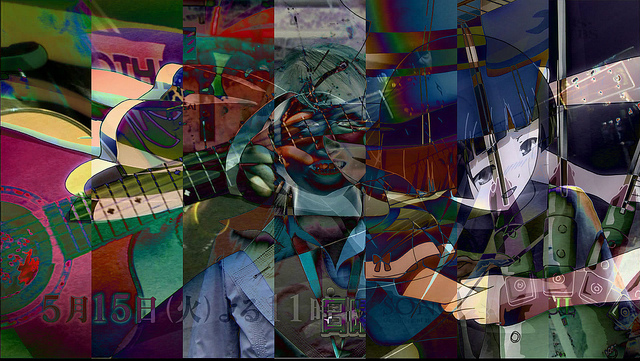 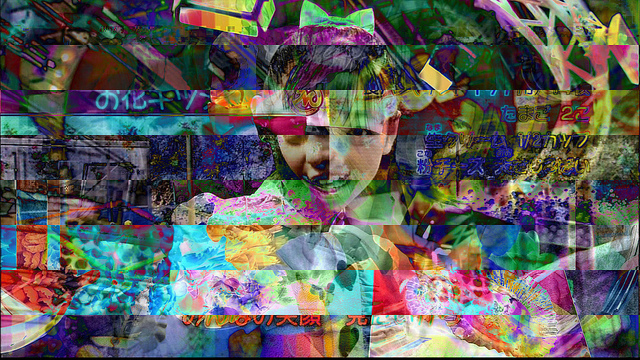 Japanese automated glitch image project, running since January 2009, creates random images from mixing various Japanese television feeds and uploads the results to it's Flickr account. 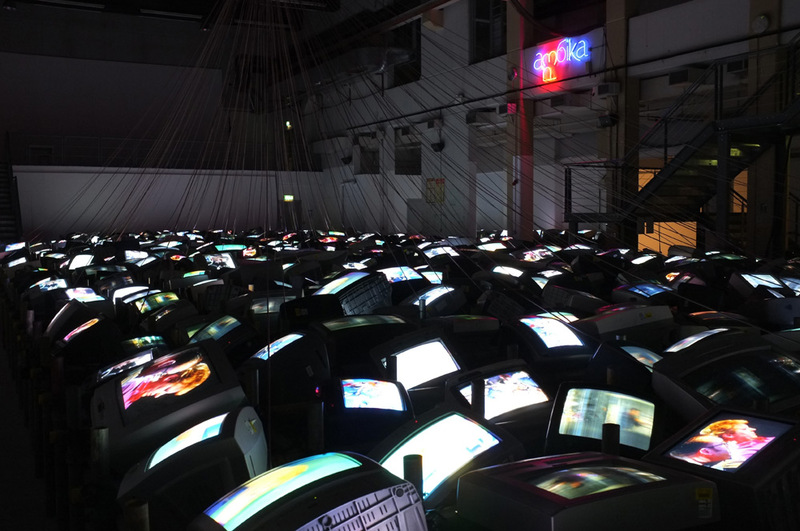 "I am a robot for generating abstract-images of Japanese TV programs requested by my followers"
Installation by David Hall at the Ambika P3 Gallery, London. 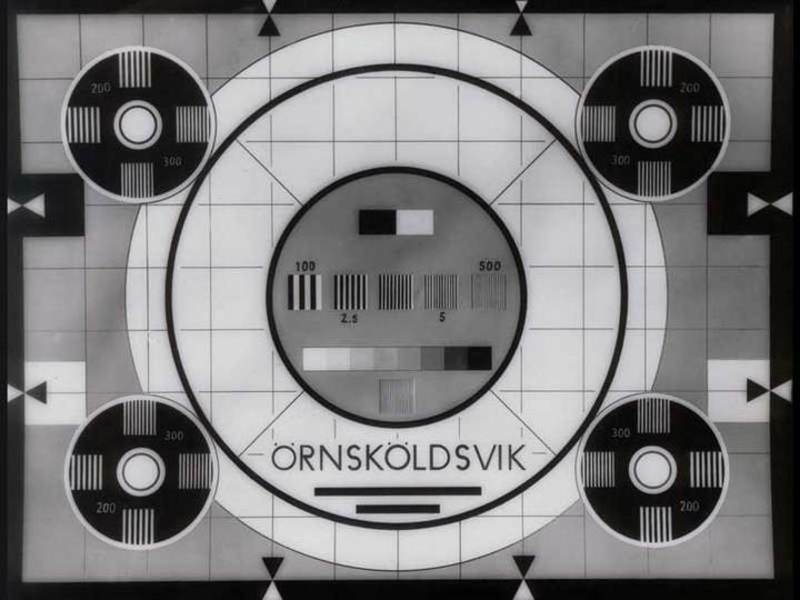 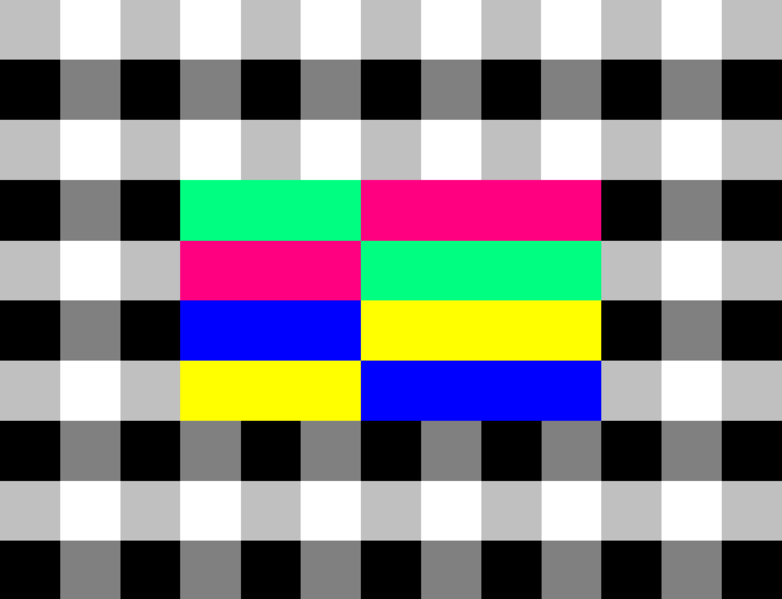 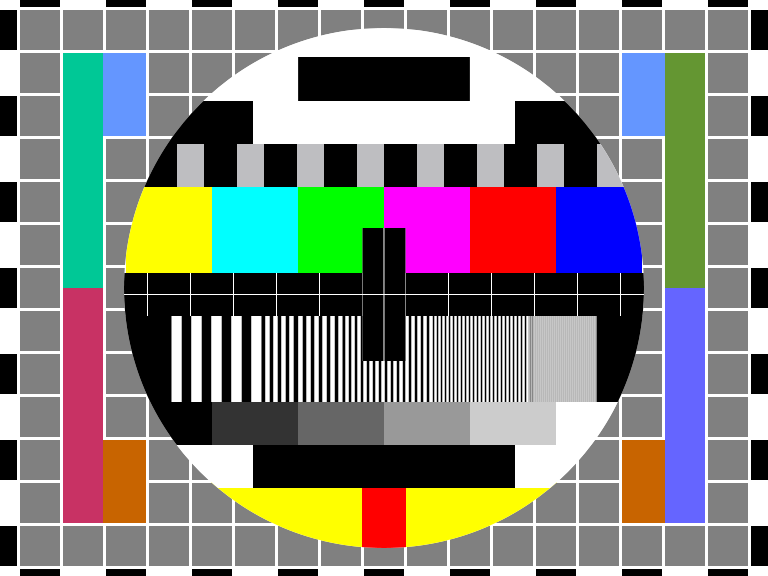 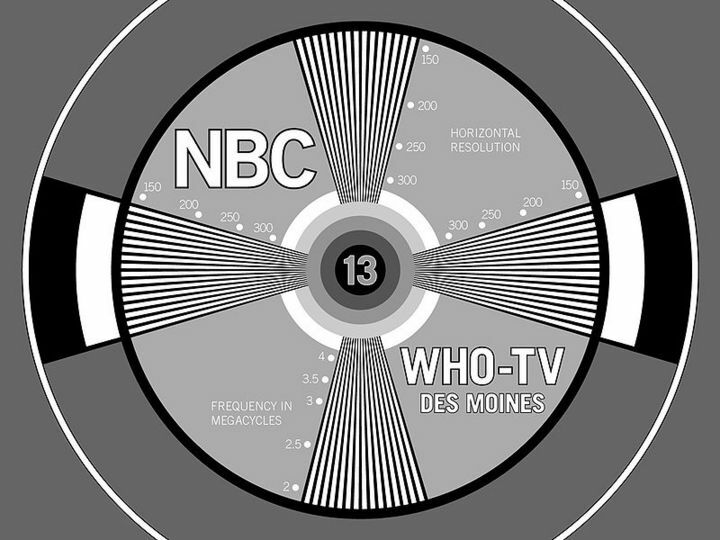 Using television sets of various ages, all were running up to the 18th April which was the switch-off point for analogue television signals in the UK. 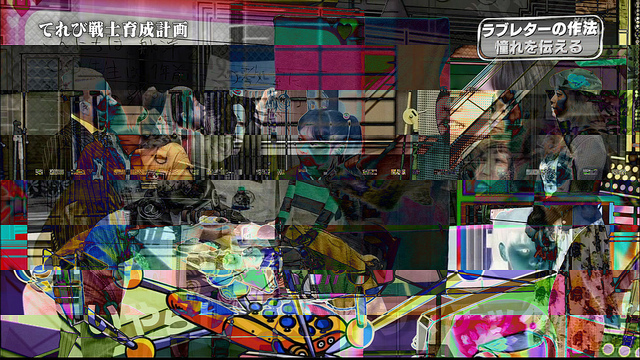 A Russian Livejournal entry from 2009 features a collection of television tuning displays (unnecessary for modern televisions) from around the world, which we can now appreciate for their geometric aesthetics.